People engaging in sports and other recreational activities are prone to accidents. From head to foot, necessary equipment to wear for protection and safety must be present. 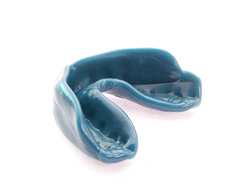 One of the pieces of protective equipment that you have to wear is the mouthguard. Mouthguards are required for individuals doing contact sports such as boxing and rugby, where developing injury is always possible. If you are also active in sports like basketball, softball, baseball, soccer, volleyball and wrestling, you should consider wearing mouthguards to avoid any sort of dental injuries. Enjoy playing your favorite sports without worrying about dental injuries. Here at Precision Dental, we make sure that you get the best mouthguard for the best fit and protection that you always need. Your reliable Brisbane Dentist is dedicated to offering you with excellent dental treatments that help you achieve incomparable overall oral wellness.